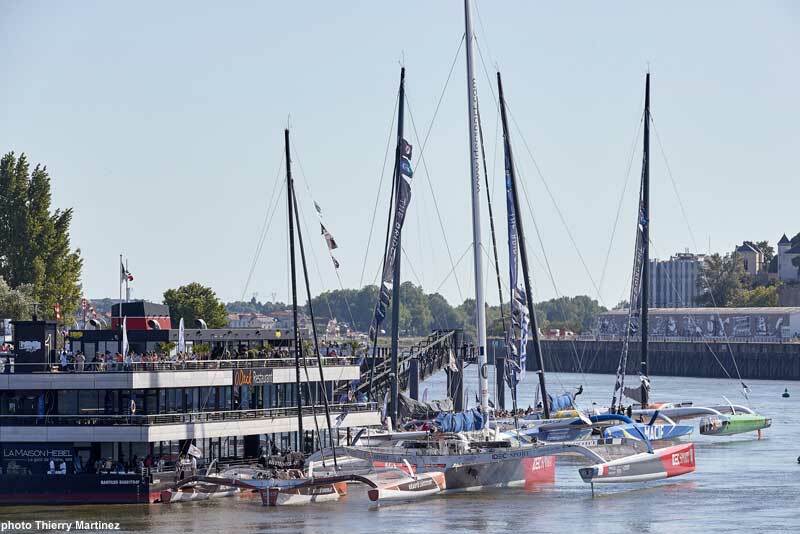 New York, François Gabart loves the city so much he has won there twice. After winning solo last year, Gabart came back with a five-man crew and showed again that in this race of giants Macif is king. Macif dominated The Bridge – Centennial Transat trimaran race from the front, crossing the finish line under the Verrazano-Narrows Bridge in New York, on Monday, July 3 at 13:31:20 (local time), 08 days, 00 hours 31 minutes and 20 seconds after leaving from under the Saint-Nazaire Bridge on Sunday, June 25. Macif sailed 3,582.13 miles at an average speed of 18.61 knots. Macif finished 02 days 07 hours and 46 minutes behind the Queen Mary 2, which covered a much more direct course of 3,100.59 miles at an average speed of 22.67 knots. But the QM2 went through the ice exclusion zone. Two days ago it looked like being a nail-biting finish, but Gabart slipped away and Idec Sport (Francis Joyon) is not expected back until overnight from Monday to Tuesday (local time). If Gabart and his team of all talents, Pascal Bidégory, Guillaume Combescure, Antoine Gautier, Benoît Marie and Yann Riou looked surprisingly relaxed after an Atlantic race, that is because they had managed some sleep – “I was having eight or nine hours a day,” Marie revealed. 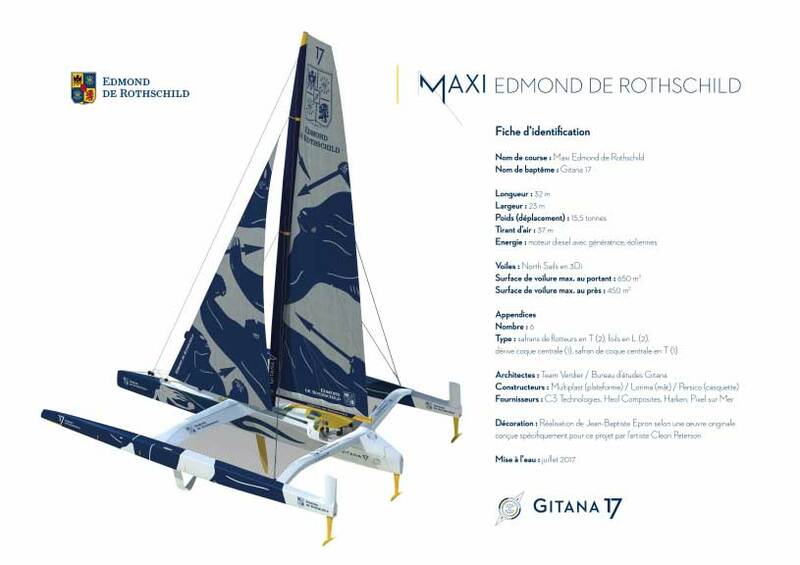 Bidégorry, who won the Transat Jacques Vabre with Gabart and is himself a record breaker, saw lots of ways to optimize the boat for Gabart’s solo round the world record attempt at the end of this year. But if the statistics and Gabart’s aura – and record – of invincibility suggest this was a foregone conclusion that would be to underestimate what he faced on the water in this generally upwind battle. “It was quite close until the night before last,” Gabart said. “We crossed the ridge (of high pressure) quite quickly and that made all the difference. Before then the gap wasn’t so big, 40 miles is a lot on a Figaro but in these boats in can be an hour’’. Despite being up against the two more experienced men, Francis Joyon (Idec Sport) and Thomas Colville (Sodebo Ultim’), who have broken the crewed and solo round the world records in the last 18 months respectively, the 34-year-old Gabart with the newest and lightest boat, started favourite. 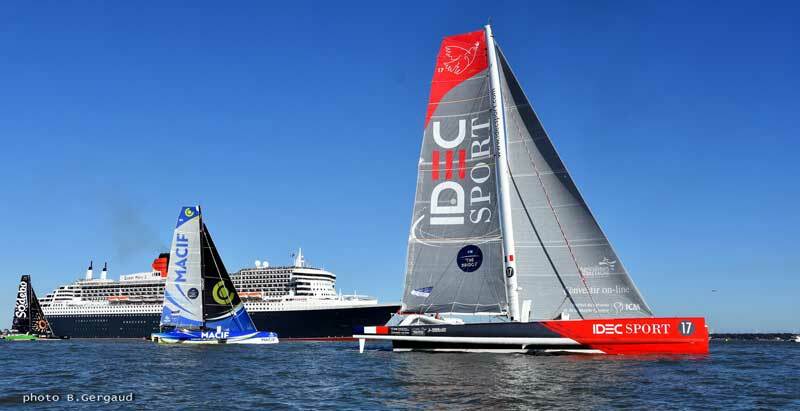 Over the first two days of racing Idec Sport (Francis Joyon) occasionally took the lead, but never for more than a few hours and Macif has led for the last 5 days and 18 hours. After all the boats headed north upwind from the start on Sunday, June 25, Sodebo Ultim’ missed a shift and tacked late on the second morning at sea and after 36 hours was 60 miles behind, a gap she was never able to close. The key moment came on Saturday night (New York time) when Macif emerged from a wind hole first and sped away from the other two, reaching in 25-30 knot southwesterlies and suddenly ending all the doubts about how tricky it is finishing in New York. It was not all plain sailing. “We had some things but Sodebo had a bigger blow so I won’t complain,” Gabart said. Sodebo Ultim’ lost part of their starboard rudder after hitting a UFO. Then, on Sunday night, Thierry Briend suffered a head injury after being knocked down and briefly out, by a huge wave whilst helming Sodebo. The diagnosis was much more positive on Monday. “Thierry is doing much better today,” Colville said. “What happened left us all a bit scared. His speech was not coherent, he had memory loss and was a bit disoriented. Fortunately, everything seems to alright now. He does not remember the circumstances of the accident, but he talking normally and he has no injury. He’s also recovered a lot of strength. We’ve put a neck brace on him".